Lawyer Michael Bosscher is one of three men facing charges. 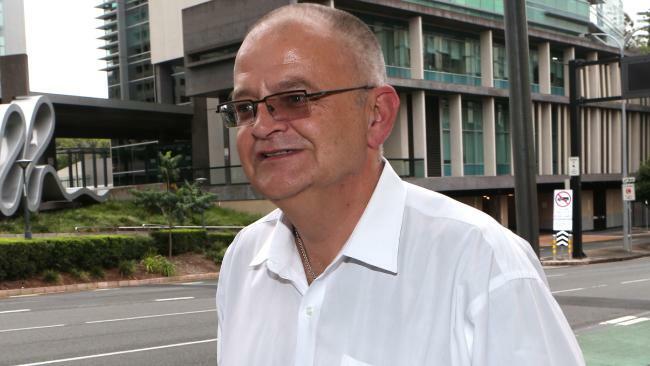 BRISBANE criminal lawyer Michael Bosscher has been charged with aggravated fraud, along with a Bosscher Lawyers solicitor, and the law clerk son of a Queensland magistrate. Bosscher, 48, solicitor Alex Jones, 32, and Tom Strofield, 29, a former law clerk with the firm, were arrested yesterday and taken to the Brisbane Watchhouse. They each face a charge of aggravated fraud related to more than $30,000, which carries a maximum penalty of 14 years. Bosscher was also charged with eight counts of fraudulent falsification of records, which has a maximum penalty of 10 years' imprisonment. 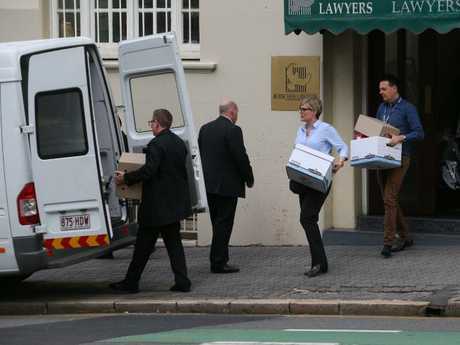 The Brisbane law firm was raided last year as part of a Crime and Corruption Commission and Queensland Police investigation of suspected criminal activity in the legal profession. The aggravated fraud charges relate to "dishonestly applying property" valued between $30,000 and $100,000 that is subject to a trust, direction or condition, or on account of another person. Items are removed from the Bosscher Lawyers offices during last year’s police raids. Former Bosscher Lawyers solicitor Tim Meehan was jailed in July for 5½ years - with parole eligibility after 18 months - for aggravated fraud related to more than $30,000, and eight counts of fraudulently falsifying records. 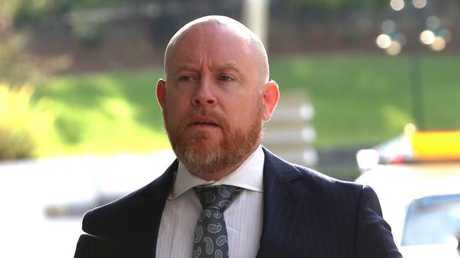 Brisbane Supreme Court heard Meehan, who pleaded guilty, went to the CCC in September last year - a month after he was sacked from Bosscher Lawyers - making allegations against former colleagues. 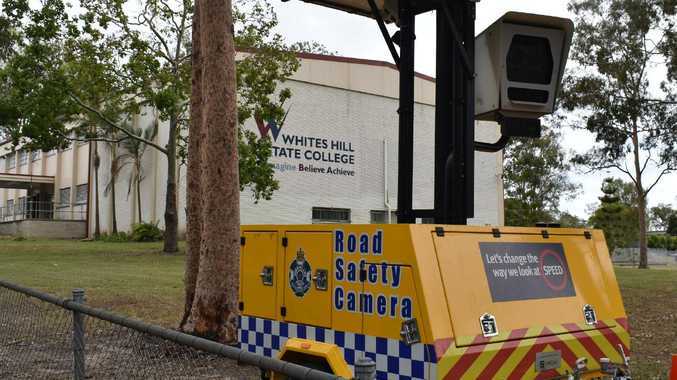 He had taken cash payments from clients, personally receiving more than $200,000, the court was told. Former lawyer Tim Meehan was jailed in July. Bosscher, a solicitor since 1994, has handled many major criminal cases for Bosscher Lawyers, including white-collar crime cases. Jones, a Bosscher Lawyers shareholder, has worked for the firm since 2008. Former Bosscher Lawyers law clerk, Tom Strofield, who has most recently worked for Hannay Lawyers, is the son of Magistrate Colin Strofield, who has no connection to the charges. Chris Hannay, director of Hannay Lawyers, said he was unable to comment as the matter was before the CCC. Bosscher, Jones, Strofield and Bosscher Lawyers could not be contacted for comment. The CCC is continuing its investigations.